The GCA’s main event for the year falls in February, when the member organizations host special events. 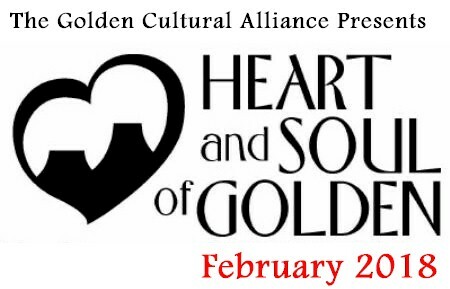 Golden Cultural Alliance members include the cultural and civic entities in Golden: several museums, a library, a theater, a symphony, and a choir, to name a few. The Alliance welcomes inquiries about its member organizations and special events. To learn more about becoming a member, visit their website or contact GCA President Bill Litz (303-475-9747) for more information.